This week's Tuesday with Dorie recipe, chosen by Peggy of Peggy the Baker, is a glorious dessert called Caramel Pots de Creme - basically, caramel flavoured baked custard. This was delish! 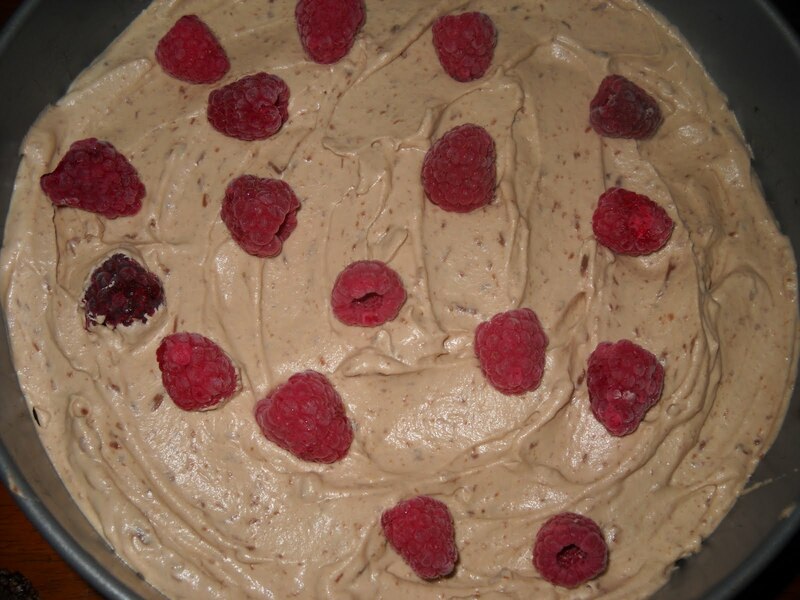 Thanks to Peggy for choosing this decadent dessert - she will have the recipe, or buy the book, Baking From My Home to Yours by Dorie Greenspan. And check out the LYL section of the TWD website for more luscious pots de creme. 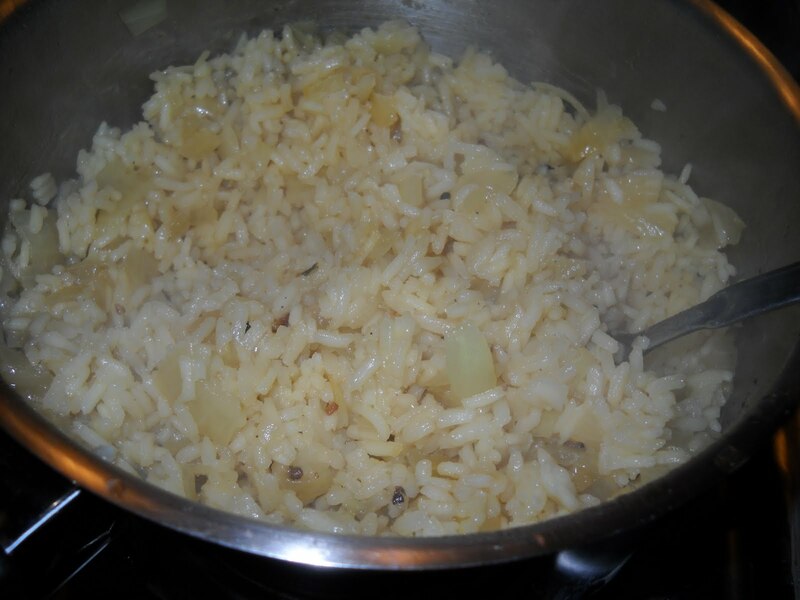 Last week's French Friday with Dorie recipe was Cardamom Rice Pilaf. Better late than never, right? This dish involves frying up onion and cardamom seeds, then adding the rice, and finally adding chicken stock, lemon zest, salt and pepper, and cooking the rice until all the broth has been absorbed. 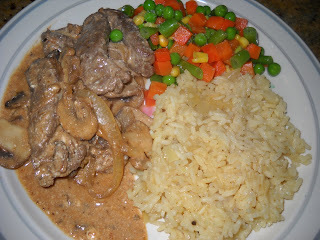 If you'd like to see more of this dish, visit the LYL section on the FFwD website. Does that look like a super-galactic space monster to you? 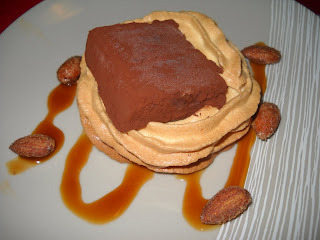 This was certainly an interesting challenge - squares of mousse rolled in cocoa, sitting atop a throne of meringue, and accented by brandy caramel and spiced nuts - crazy huh? I enjoyed each of the elements except for the meringue, which was created boiled stylee, and was supposed to be smudged raw on the plate then torched. As I didn't have a kitchen torch, I baked mine for half an hour, which coloured them and made them firm enough to transport to work. However, the meringue was kind of rubbery and strange - not like a usual meringue at all, and wasn't my favourite part of this. The mousse was - well, mousse. I actually enjoyed it while it was still partially frozen - it is kind of like a chocolate Paddlepop without the stick. However, I adored the caramel and the spiced nuts. These components weren't compulsory and I was going to skip them, but chnaged my mind at the last minute - and I am glad that I did. At work, people were pinching the spiced nuts off the plates, so I put out the leftover ones for people to go for it. 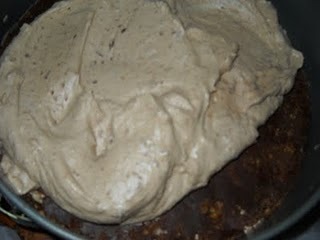 The nuts are coated in a mixture of egg whites, cayenne and cinnamon before being baked until the coating has set. The leftover spicy but sweet caramel (it contains cayenne) was perfect on icecream. As mentioned above, instead of using tequila in my caramel, as suggested by the original recipe, I used btandy, primarily because I had btrandy in the house and I couldn't buy a nip bottle of tequila. Thanks to our hosts, Emma and Jenny, for introducing me to something totally new. They will have the recipe on their respective sites. To check out the infinite variations by the Daring Bakers, visit the Daring Bakers website. When I saw the name "black vinegar cake" in Adam Liaw's Two Asian Kitchens, I was intrigued. On the one hand, I was grossed out at the thought of 60ml of vinegar in a sweet cake; on the other hand, I was curious as to how it would taste. As the cake also contained dried apricots and glace ginger, and was topped with sour cream icing, I was sold - I knew I had to try this cake. Preheat your oven to 180 degrees Celsius and grease and line a 20cm springform pan. Rub the butter into the flour using your fingertips or a pastry cutter. Mix in the sugar, apricots and ginger. Make a well in the centre of the dry ingredients. Heat the vinegar and milk together in a medium saucepan until curdled, then add the bicarbonate of soda. 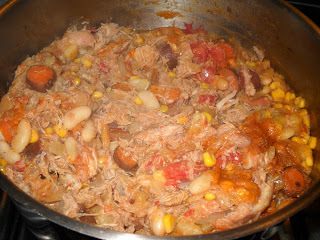 The liquid will foam up - pour immediately into the well in the dry ingredients and stir to combine. 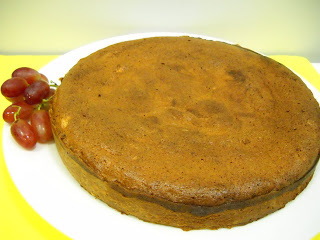 Scoop the batter into your prepared cake tin and bake for 20 minutes, then turn down the oven to 160 degrees Celsius and bake for another 30 minutes or until cooked through. 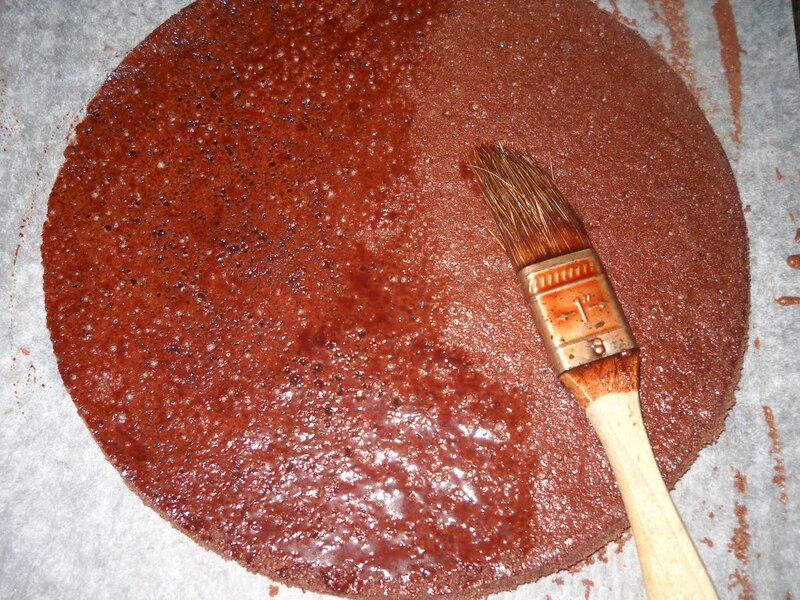 Remove the cake from the oven and allow it to cool in the tin for 10 minutes, before unmoulding onto a wire rack to cool completely. 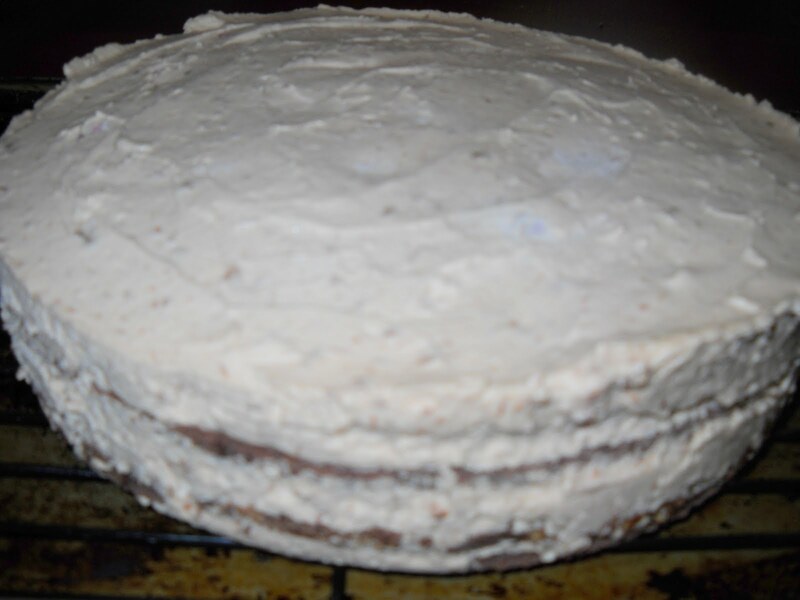 Make the icing by mixing together all of the icing ingredients until smooth, then spread over the cooled cake. Do you like salads? 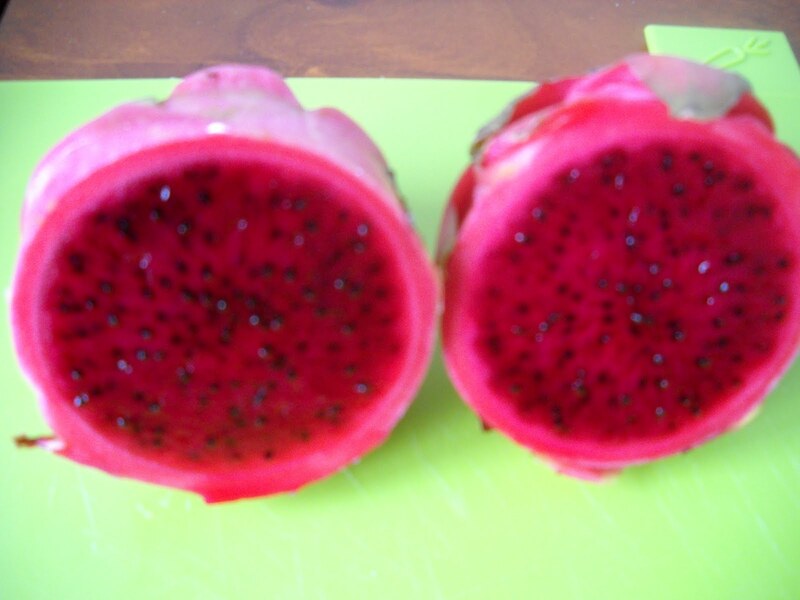 Generally, I regard them as a side dish, and would rarely choose them as a main course. 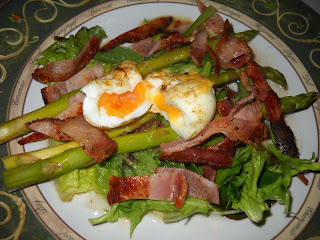 However, this week's French Fridays with Dorie dish is a main course salad - bacon, egg and asparagus salad, to be exact. The salad is comprised of mixed salad greens dressed with vinaigrette, then topped with boiled asparagus spears (also dressed with vinaigrette), chopped crispy bacon and a gooey soft boiled egg that has been recooked in bacon fat. I didn't get as much gooey yolk on my salad as I would have liked as my poor egg got a hole in it when I was shelling it, so quite a bit of gooey yolk oozed out. Still I enjoyed the salad, although it is definitely not what I'd choose for dinner in the middle of a frosty May night ordinarily. 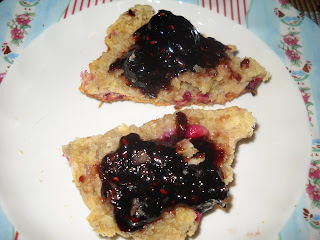 This week's Tuesday with Dorie recipe is Dorie's Maple Cornmeal Biscuits, chosen by Lindsay of A Little Something ... Sweet. Now, I had a moment of cultural confusion with these, because I read "biscuit", which in my head means "cookie". Accordingly, I made these quite small, and was puzzled when they didn't spread in the oven and tasted rather plain. 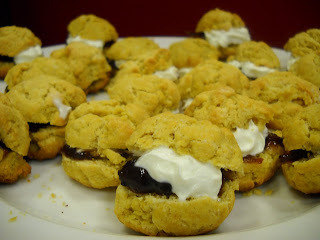 Then the penny dropped - an American "biscuit" is a close relative of our scones. This made the recipe less disappointing once I'd worked this out. This also explains why I ended up with around 20 biscuits to Dorie's twelve. For my sins, because I took these to work, I had to slice and put rosella jam and cream into 20 mini biscuits. Aye carumba! However, they were delish and cute and they all got eaten - which is a massive plus. 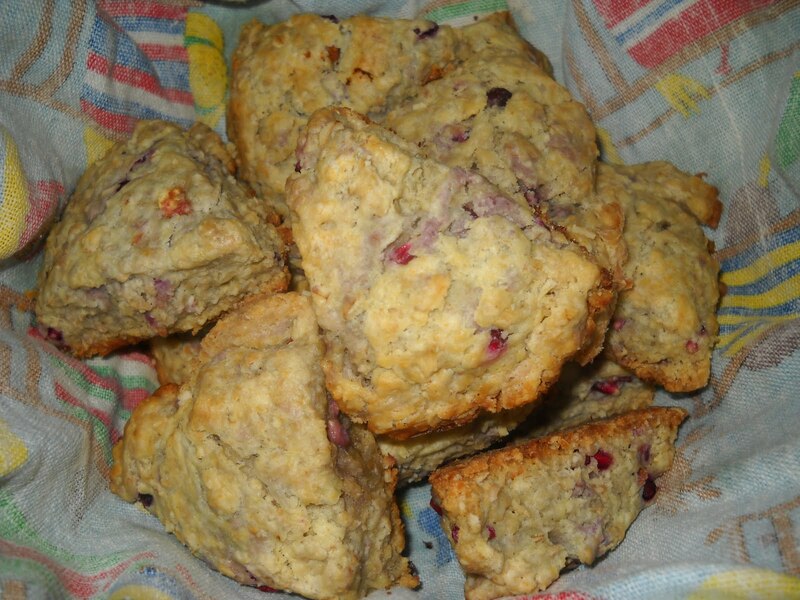 Lindsay will have the recipe for these scones - err, biscuits. To see what everyone else thought of these biscuits, visit the LYL section of the TWD website. 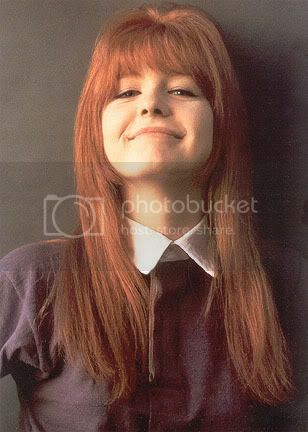 One of Jane's business ventures is Jane Asher's Party Cakes in Kensington, London, which sells cake decorating supplies, and from where you can order fancy decorated cakes. In conjunction with that business, Jane has written a small baking book called Beautiful Baking, which contains 40 of her favourite British classic home recipes. These baked goods are not the fancy kind you can buy for her shop, but rather, the kind that you may have if you ever dropped in for tea with Jane. 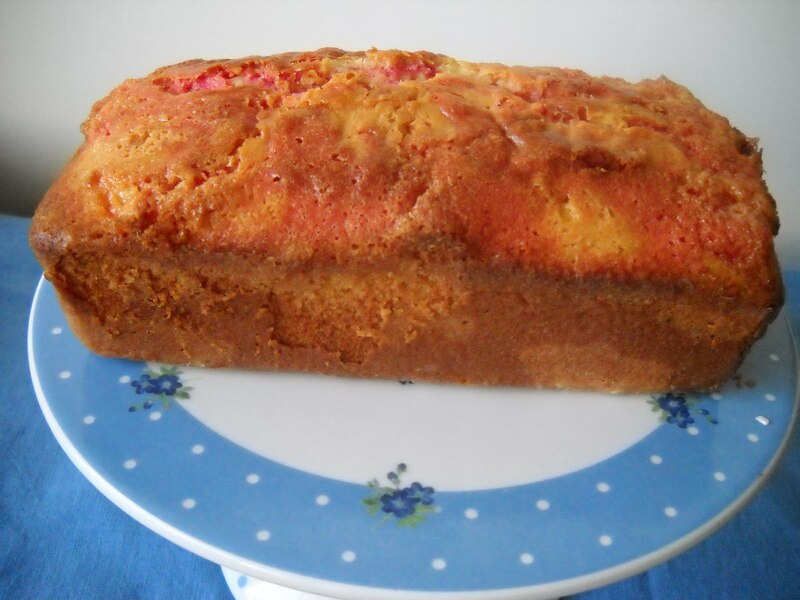 The first recipe that I have chosen to make out of Beautiful Baking is Marmalade Cake. 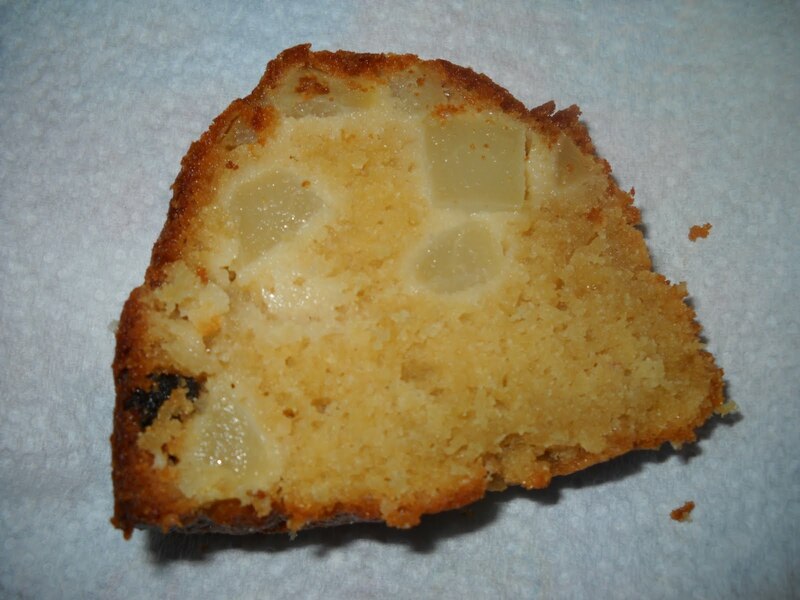 I am rather a fan of marmalade cake, and although delicious, Nigel Slater's marmalade cake tends to sink deeply in the middle (at least when I make it - and I have made it twice). This has a nasty impact on the cake's aesthetics. 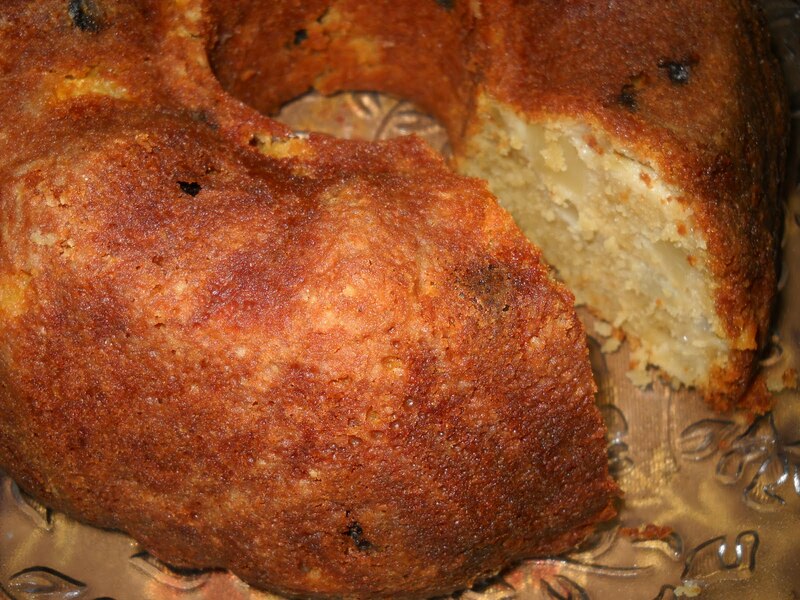 Accordingly, as Jane's cake seemed to be sink hole free, I was keen to give it a try using my Robertson's Golden Shred Marmalade from Treats from Home. However, you can easily eat this cake plain (I think it would be smashing heated up and served with warm custard for pudding), or decorate it with simple white glace icing, perhaps made with orange juice for some extra orange zing. Preheat your oven to 180 degrees Celsius and grease and line an 8" cake tin. Using an electric mixer, beat the butter and sugar together until light and creamy. Add the egg to the mixture, beating continuously. 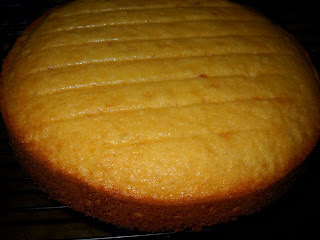 Using a wooden spoon or rubber spatula, stir the orange zest and marmalade into the cake batter. 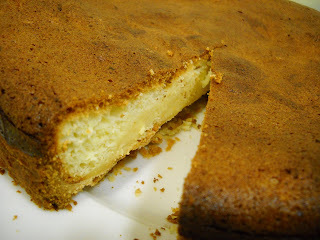 Sift the flour and baking powder together in a separate bowl, then fold into the cake batter, together with enough milk to make a thick cake batter. Spread the cake batter evenly into your prepared cake tin, and bake in your pre-heated oven for around 30 minutes or until cooked through. Remove the cake from the oven and allow it to cool in the tin for 5 minutes, before turning onto a wire rack to cool completely. Real men don't eat quiche - or so the saying goes. 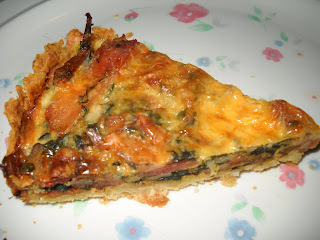 I am not a bloke, so I wasn't phased by this week's French Fridays with Dorie recipe being for spinach and bacon quiche. This quiche is unusual in that it contains more bacon and spinach than cream and eggs. 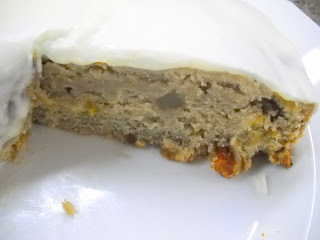 In fact, there is so little cream/egg mixture that there is barely enough to cover the rest of the filling. 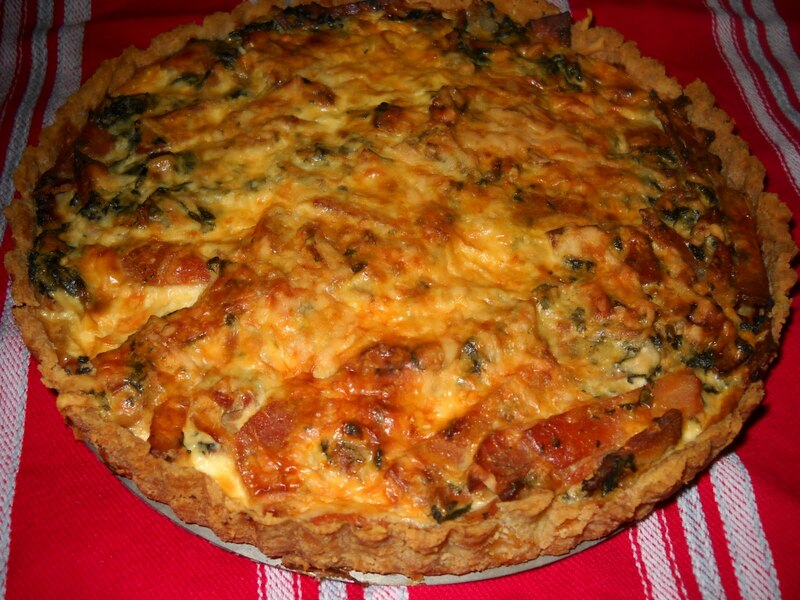 The quiche comprises a tart dough, rolled out to line a pie dish, then partially baked before being filled with steamed spinach, bacon, onion and garlic, then topped by a mixture of cream and eggs and sprinkled with Parmesan before being baked until set. This is perfect picnic or weekend food - it is easily cut into portions and will travel, and tastes good hot or cold. 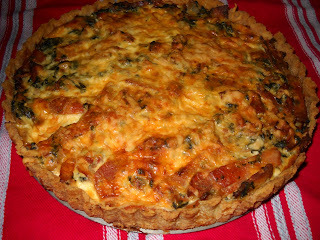 To check out what all of the other Friday Doristas thought of this quiche, visit the LYL section of the FFwD website. I am not a huge Masterchef fan - in fact, I missed most of the first series. One reason for this is that I initially couldn't stand watching the judges taste the contestants' dishes - watching other people eating is not a hobby of mine. However, Masterchef has grown on me, and I now watch it whenever I can, but don't beat myself up if I miss it. Adam Liaw, last year's winner, was a former Disney lawyer in Japan who gave it all up to appear on Masterchef. His first cookbook, Two Asian Kitchens, has just been released. The "two kitchens" of the title are the old and the new - the traditional and the modern. There are some really interesting dishes in Adam's book, but unfortunately, when I went to tag them, I tagged most of the book - a complete waste of time. At least it shows me that I am happy with this purchase. Regular readers of this blog will know that I adore a good curry. Accordingly, it seemed fitting that my first dish from Two Asian Kitchens was a curry - namely, Aunty Chin's fish head curry. Adam gave you the option of using 600g of white fish instead of a fish head, and I gladly accepted this substitution. I wouldn't know the first thing about eating a fish head, and it doesn't appeal to me; however, the curry itself did. One thing to note about this curry is that it has a fair amount of heat - it is not scaldingly hot, but it definitely raises the temperature a notch or two, as it contains 1 teaspoon of chilli powder and 5 birds eye chillis. It also contains okra, a type of bean that I had never heard of before. It was luck rather than good management that I found okra in an Asian supermarket. 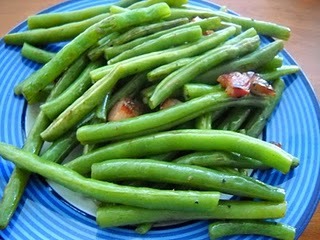 Adam used whole okra beans, but as they seemed kind of big, I sliced the okra beans into pieces. I also left out the curry leaves, as I couldn't find any. Don't fret though - this dish contains a make-your-own curry powder, so it is still definitely a curry. I also substituted the coconut cream for coconut flavoured evaporated milk, to make the curry a little more calorie-friendly. There was also some pfafffing with tamarind liquid - I just used the tamarind pulp. I enjoyed the mix of hot and sweet and acidic flavours in this curry - it was a perfect balance. However, as I am a bit of a chicken when it comes to heat, I would tone down the chillies next time. 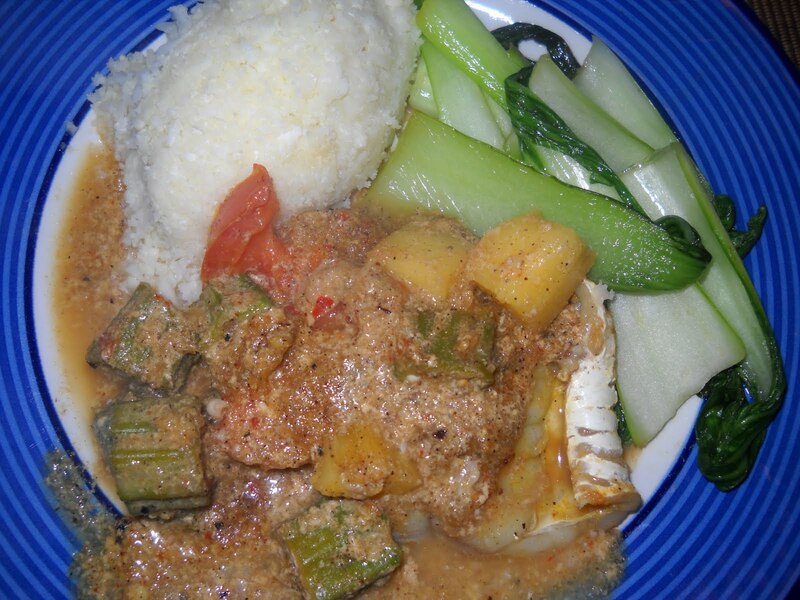 I served my curry with boiled rice and bok choy. Mix all the spices together in a bowl and set aside. 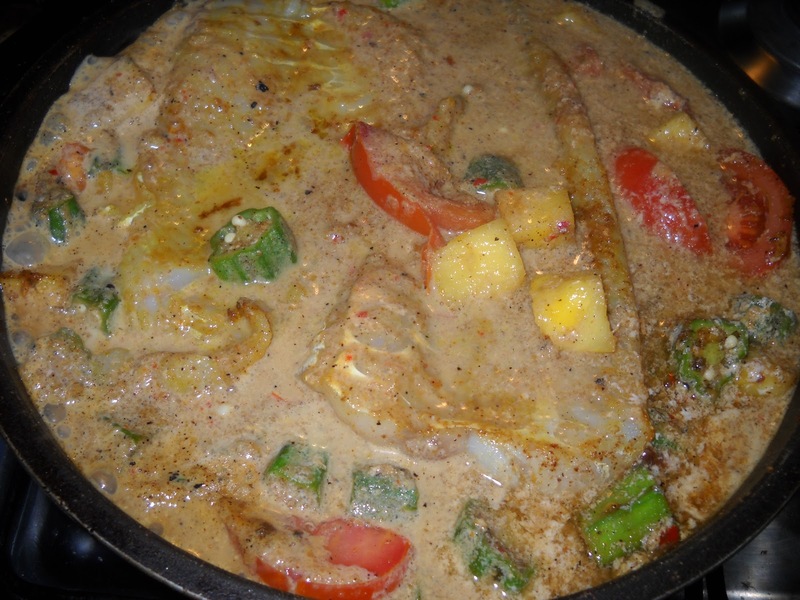 Rub the fish with 1 tbp fish curry powder. Blitz the onion, garlic and chillis in a food processor to create a smooth paste. Heat the oil in a large wok until smoking, and cook the fish on both sides until lightly browned. Remove the fish from the pan and set aside. Add the ginger to the wok and toss in the oil. Add the curry powder and curry leaves to the wok and toss for a few seconds until fragrant. (Be careful and do this in a well ventilated kitchen - I almost choked on the "fragrancy" of the mix!) 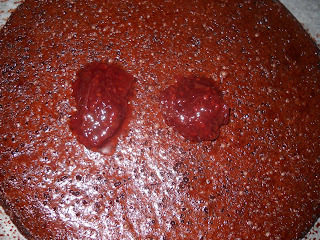 Add the chilli paste and fry until the oil separates from the paste. Add the okra to the wok and fry for 2 minutes until softened, then add the tomatoes and pineapple and cook for 3 minutes. 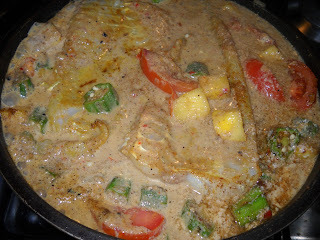 Add the coconut cream/evaporated milk, tamarind, fish sauce, salt and sugar and bring to the boil. Return the fish to the wok and bring the mixture to the boil. Immediately turn off the heat, and cover the wok. Leave the wok covered for 20 minutes until the fish is cooked through. Stir through the lemon juice before serving. This week's Tuesday with Dorie is the Brown Sugar Bundt Cake, chosen by Peggy of Pantry Revisited. I had made this cake once before more than three years ago, so it was kind of surreal to be revisiting it after all the water under the bridge since then. This time, I used pears and raisins instead of apples and prunes for the fruit. 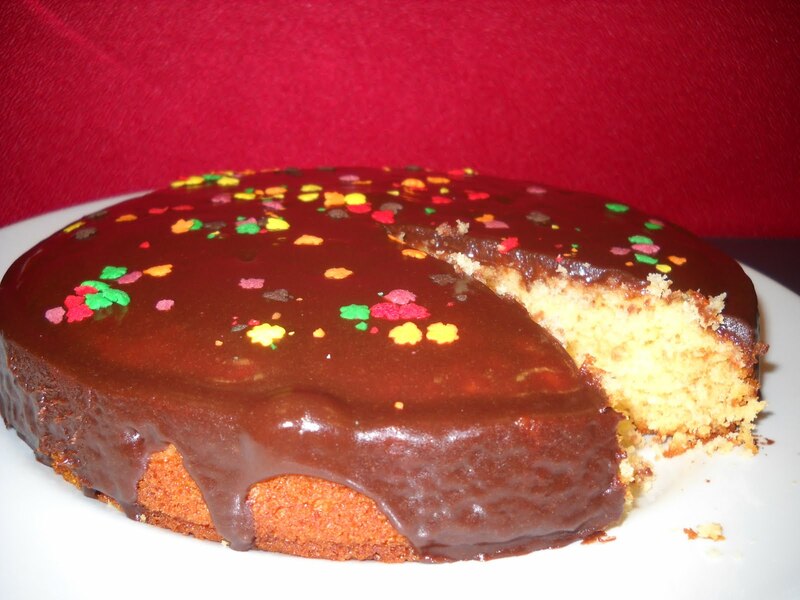 This is one delicious cake - if you make just one Dorie cake, I'd choose this one. I have more photos, but Blogger is misbehaving, and I posted this one through Picasa. More photos will come when Blogger fixes itself. To check out the recipe for this bundt, visit Peggy's site on Tuesday her time. 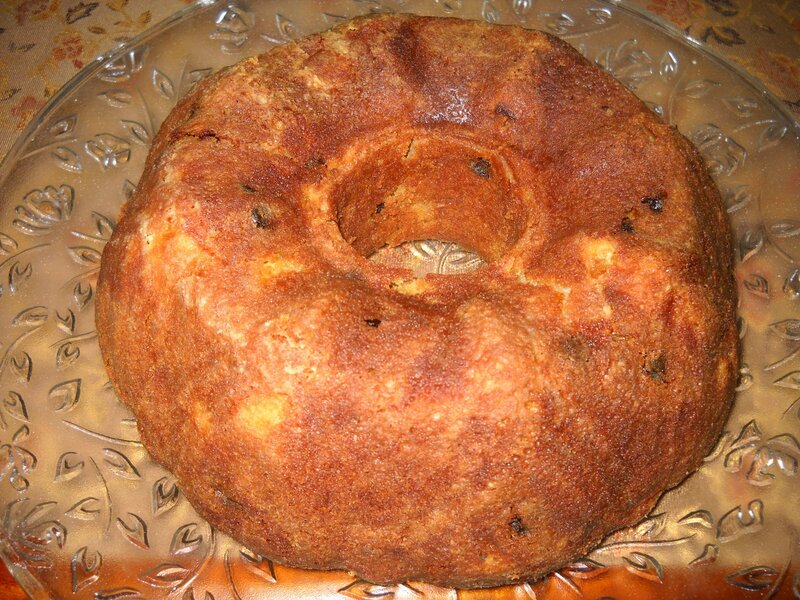 And to check out some other delicious versions of this bundt, visit the LYL section of the TWD website for this week. 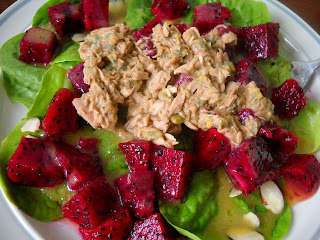 This time, when I made the salad, as well as substituting red dragonfruit for white, I used ordinary sandwich tuna (instead of tuna slcies), and added the sliced almonds in the original recipe. I don't recommend the sandwich tuna substitution unless it's all you have, because it makes for a mushier salad, and is not as visually attractive. However, flavourwise, it is a lovely salad, with a passionfruit and mustard marinade for the tuna and a vinegarette salad dressing. If you have never tried dragonfruit before, this salad is a lovely way to use it, and makes for a quick and easy weekend lunch. Thank God it's Friday! Friday means French Fridays with Dorie, and this week's recipe was Torteau de Chevre ("tort-tow dee chee-ver"). 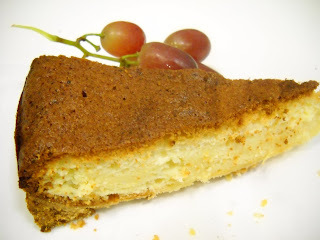 This is simply a goats cheese cheesecake. The original French versions have rounded black tops, but you need an oven hotter than the average residential oven to achieve this. I took my cheesecake into work yesterday, on a suddenly cold Melbourne day. I had slept in for half an hour past my alarm and had to move it to get into work at my usual time. I take up a lot of space on the train with my bags and cake boxes, but luckily it was the Flinders Street direct train rather than the City loop, which is usually more crowded. At Richmond station, a guy who got on the train eyed me up from toe to head - not sure if he was taking in all my boxes and bags or admiring my thick and camouflaging winter coat in standard Melbourne black. The station staffer on the platform caused me to chuckle inside my head by yelling "Bums and bags on board!" to hurry things along. At the other end, it was the usual crush to get off the train and out of the station boom gates. I am not sure why everyone is in such a rush to get to work, but there you go. Despite all this, my torteau de chevre arrived at work safely in one piece. The goats cheese filling of the torteau de chevre is cradled in a pastry crust. I wasn't sure what to expect from this cake, but was pleasantly surprised. After cutting through the firm brown outer crust (which took me an hour and a half to achieve in my oven), the pale yellow centre shines through. 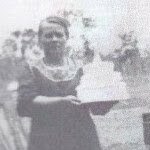 The cake itself is, as Dorie says, neither sweet nor savoury, and if I didn't know what was in it, I am sure that I wouldn't take it for a cheesecake. I really enjoyed the flavour of this cake. It would be a perfect accompaniment to a cheese board, and would go down well with a glass of rich red (alas, not a possibility at work). 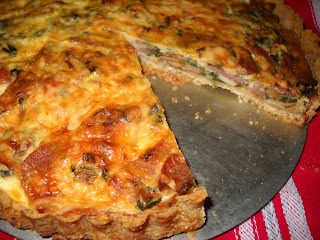 To check out how everyone else went with the torteau de chevre, visit the LYL section of the FFwD website. The runner-up in the first series of Australian Masterchef was a beautiful Malaysian-Australian woman called Poh, who specialised, unsurprisingly, in Asian cuisine. Poh did very well out of her Masterchef exposure, gaining her own TV show on the ABC as well as a book of the same name, Poh's Kitchen. Unfortunately, Poh's Kitchen was always on my Pilates night, so I only saw one or two episodes as Saturday morning catch-ups. However, as a food blogger, I ran across the magnificent Le Papillon Cake that featured on her show, created by the regular chef on her show, Emmanuel Mollois. The cake is called "Le Papillon" solely because of the large chocolate butterfly that sits atop it in full flight. 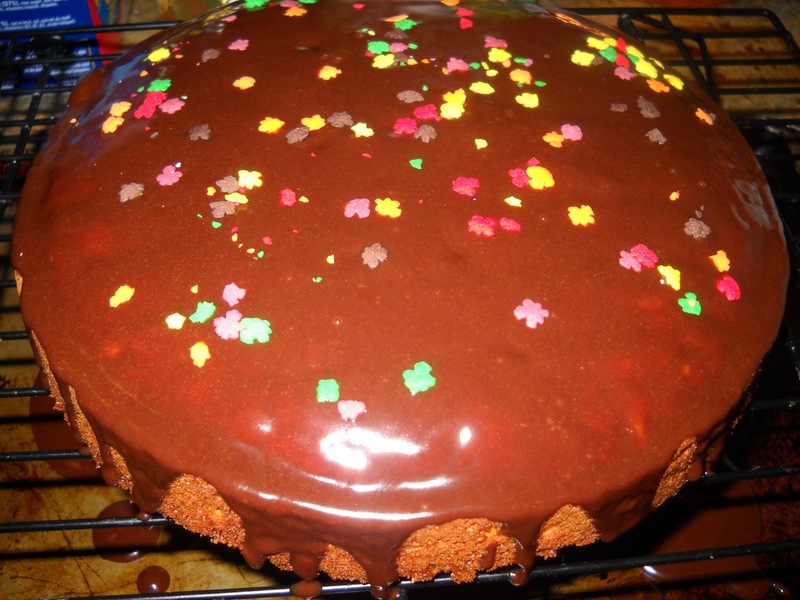 I knew that I wanted to make a Le Papillon, but the long list of expensive ingredients and time that it would consume did not justify making it as an everyday cake. However, the perfect opportunity to make this cake came up - my lovely friend and taste tester Sandra's birthday was yesterday, and I made Le Papillon for her. I made a milk chocolate mousse using melted down Easter eggs instead of a dark chocolate mousse. This means that my cake was sweeter because the mousse was milk chocolate, but it saved me having to buy a truckload of extra chocolate just for the cake and ensured that some of the many Easter eggs that my kind family and friends gave to me disappeared before they disappeared down my gullet and reappeared on my paunch. I used crushed cornflakes in the croustillant layer instead of crushed icecream wafers (an idea gained from the comments on the original ABC version of the recipe). I used rhubarb raspberry vanilla jam instead of raspberry, primarily because that is what I had. 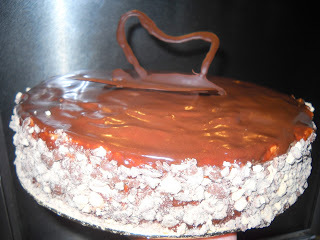 I coated all of the sides of my cake with crushed up treats. The coating on the side of my cake was crushed Maltesers (like US Whoppers) instead of crushed biscuit and nuts. The milk chocolate partially resolidified on hitting the cold cream of the mousse, giving me chocolate chip mousse. When the butter was added to the chocolate nappage, it didn't all melt, so I had to stir it over a double boiler on the stove to make it smooth. My poor old butterfly melted when exposed to a bright light for photographs, hence it became flat rather than remaining in full flight. Most importantly, Sandra said she loved it. Happy birthday Sandra! It's Tuesday, and our Tuesday with Dorie host this week, Carol of The Bake More, chose Dorie's Basic Marbled Loaf Cake. It being very soon after Easter, I wasn't in the mood for chocolate, so instead of a chocolate and white version of this cake, I made a rose and white version. 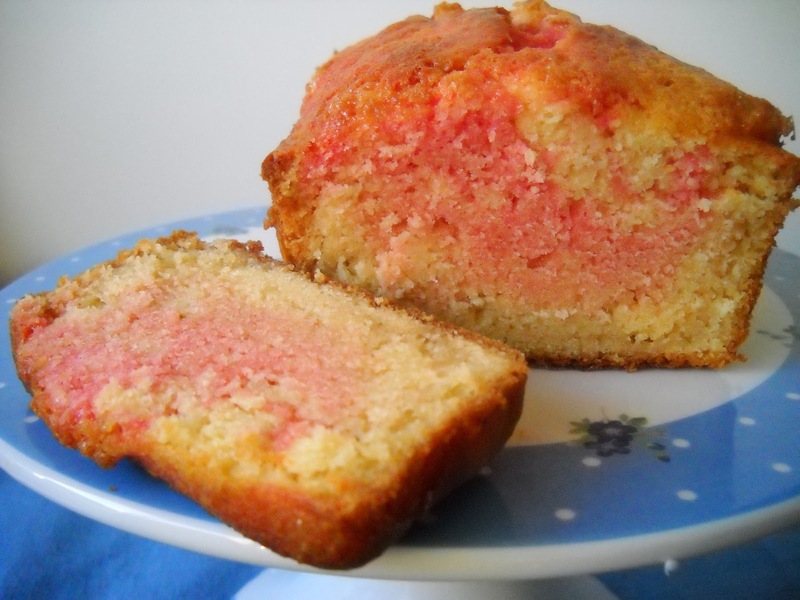 The white is just plain cake; the pink portion is flavoured with rose syrup and coloured with pink food colouring. I loved the effect of the rose syrup, because it made the pink portion a little chewier and more candy-like than the white portion. I gave half each of this cake to two friends that I caught up with on Saturday (as I made the cake while watching the Royal Wedding). 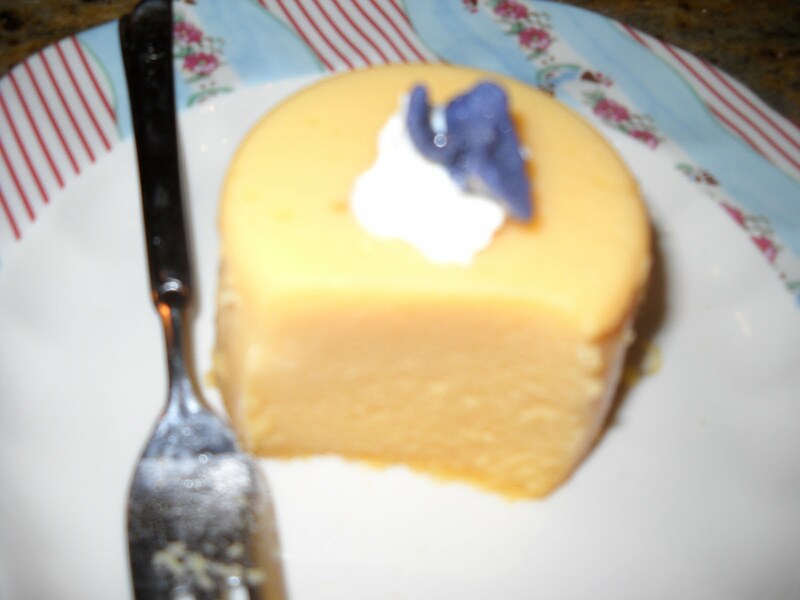 However, I did keep the slice shown in the photo for me. Thanks to our host, Carol, for choosing this week - she will have the recipe. To see what everyone else did with this cake, visit the LYL section of the TWD website for this week. I like to experiment with all kinds of cooking and baking, and don't feel the need to follow one particular style or convention. Although I am not on a diet (see my TWD posts if you don't believe me), I bought The Biggest Loser: Best Recipes from our work bookclub. 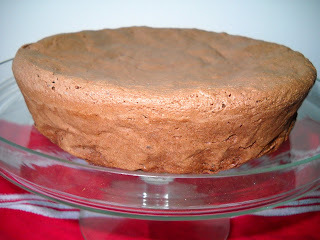 Being a baker, I could not resist making the Chocolate Fudge Cake from this book. The cake is based on egg whites, and does not contain any butter or oil, hence it is very low fat. 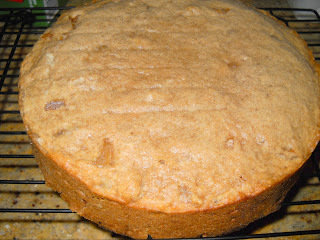 However, I also initially found this cake a little dry. It tasted much better after having been frozen then thawed - it seemed somehow moister. It is obviously not as tasty or decadent as a regular chocolate cake, but if you are on a low fat diet, it allows you to have your cake and eat it, so to speak. 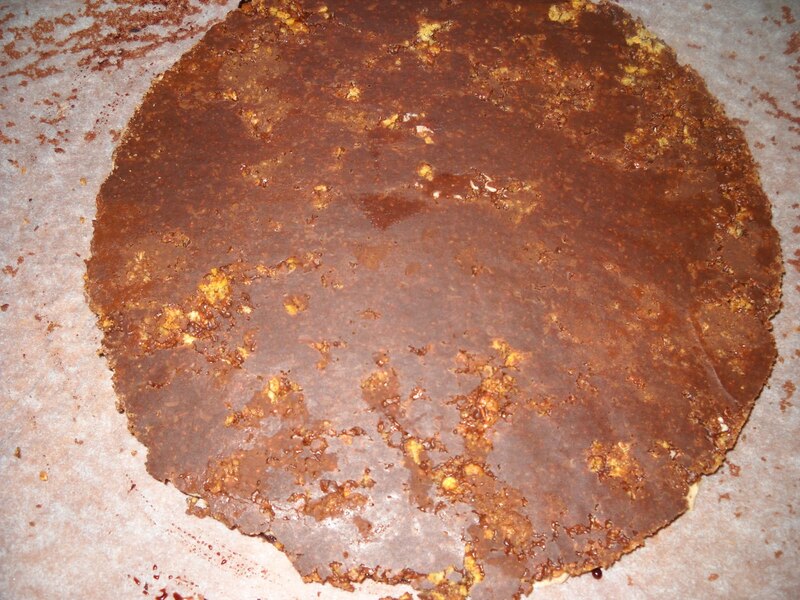 Preheat your oven to 170 degrees Celsius, and line a 20cm springform pan with baking paper. Put the chocolate and cocoa into a bowl, and pour over the boiling water, then mix until smooth. With an electric mixer, beat the egg whites until they form soft peaks, then add the sugar slowly while continuing to beat the egg whites until they form stiff peaks. Using a rubber spatula, fold in the chocolate mixture, and finally, fold in the flour. Pour the cake batter into the lined tin and bake for 45 minutes or until cooked through, and cool the cake in the oven with the door ajar. 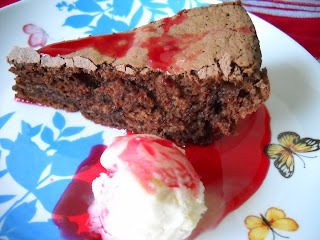 I served the cake with raspberry coulis and low fat vanilla icecream. 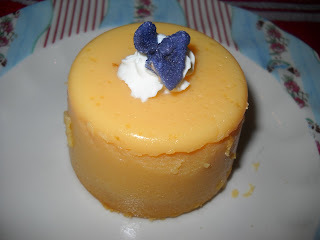 Elaine of California Living has tagged me to play a game requiring you to put together a menu of 5-10 dishes that you have previously posted on your blog for a special occasion - originally Easter, but as that has passed, for another occasion. 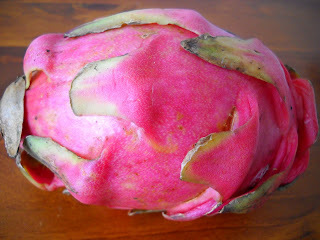 I have decided to put together a Mothers Day menu, as next Sunday is Mothers Day in Australia. I have my Mum's present wrapped and ready at her place, and I am going to visit her for the big day - although it is unlikely that I'll be cooking, because my Mum is still master of her kitchen. I think Mum would enjoy most of this. It's interesting that, drawing on almost 4 years of blogging, my menu comes primarily from Nigella, Jamie and Dorie - three of my favourite celebrity cooks/chefs. Thanks to Elaine for tagging me. I will go the same route as Yummy Chunklet and wait until next Easter to tag someone.